Storage life depends greatly on temperature. From a safety point of view you can store frozen vegetables, meat and combinations of these for years without any problem of food poisoning. However, with time there will be a loss in nutrient value and quality. If you have a freezer/fridge combination you can store frozen product up to six weeks without any major quality effects. With a chest freezer which operating at minus 18°C, the time is longer – three months or more depending on the fat content. The higher the fat content the shorter the shelf life. 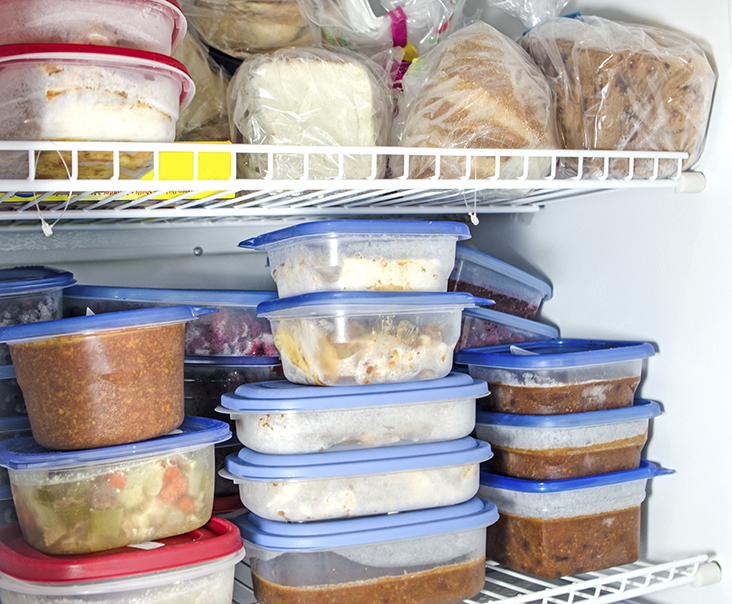 Your freezer manufacturer usually lists recommended storage times in the door or lid of your freezer. Check our fridge and freezer safety advice.